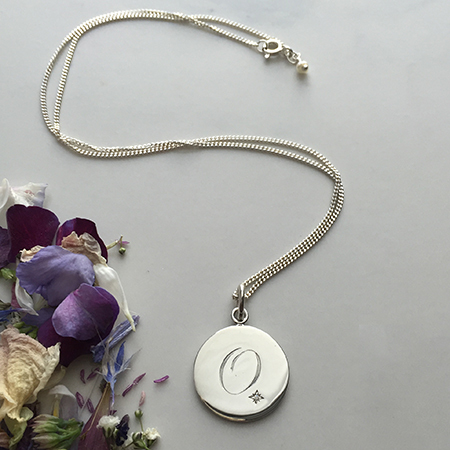 Birthstone Initial Necklace is bound to make someone feel above and beyond. Hand engraved with a scrolled initial of your choice and beautifully embellished with a birthstone makes this personal gift that extra bit special. Find out more about the meaning and folklore behind each birthstone on our other blog posts. Can’t choose which initial to get hand engraved? We have gorgeous Double Initial Necklace or Triple Initial Necklace new to our Initial Collection. or Why not double up with a disc charm for each of you and your siblings with our Double Disc Initial Birthstone Necklace? Layered jewels are hot on trend. Birthstone Initial Necklace is a poignant present for your mum, a collection of birthstones to represent you and your siblings that together tell the story of your family. Carrying each of her most loved ones closely, a personalised gift to melt any mother’s heart.